I can't help but be completely drawn to this image by Kalle Gustafsson for Marie Claire's October issue that I discovered via StyleMint's excellent Tumblr. Horses aren't my thing, but side braids, cowboy hats, nubby sweaters and the great outdoors sure are. 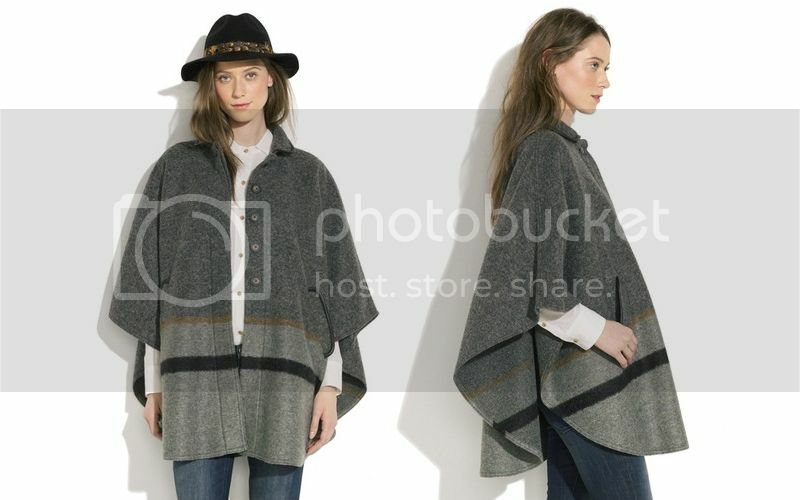 I'm thinking of going for the citi-fied version of the look with this Madewell Trailrider Poncho.